The V60 family was Volvo's No. 4-selling model line in 2015 with a global volume of 61,341. 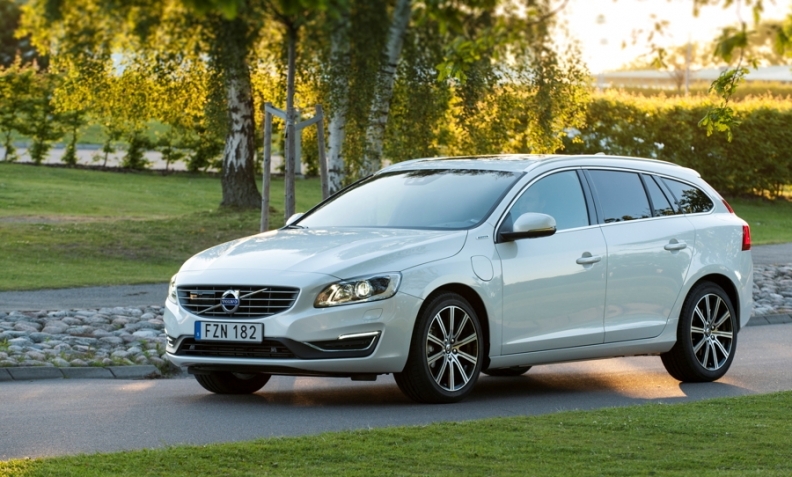 Volvo will shift production of the V60 model line to its factory Ghent, Belgium, from Sweden starting in early 2017. The move will free up capacity at Volvo’s main plant in Torslanda, near Gothenburg, for new additions such as the S90 and V90 as well as the strong-selling XC90 flagship SUV. “Management in Sweden asked for a solution for the V60, and we put our hand up”, says Volvo Car Ghent spokesman Mark De Mey. The V60 family was Volvo’s No. 4-selling model line in 2015 with a global volume of 61,341, according to company sales figures (see chart, below). Volvo currently produces the V40, V40 Cross Country, XC60 and S60 in Ghent. The V60 shares its underpinnings with the S60 and XC60, which is why it is possible to add the station wagon as well as variants such as the V60 Cross County and the D6 plug-in hybrid to Ghent’s production schedule. Rather than relocating the V60’s bodyshop tools, Volvo chose to further leverage its existing ferry line between Ghent and Gothenburg. “Body panels will still be made in Sweden. They will be shipped to Ghent, where final assembly of the V60 will take place,” De Mey said. Volvo has announced plans to offer the fuel-saving powertrain option in all of its future model lines as it looks to get 10 percent of its sales from plug-in hybrids and battery-electric cars in the midterm. The strong push into plug-in hybrids will include the next-generation V40 family that will be produced in Ghent starting in late 2017 on the new compact modular architecture [CMA] that Volvo is co-developing with sister brand Geely. “So we will run vehicles based on three platforms [in Ghent] for a limited amount of time: the current V40 family, all cars based on the current 60-platform and the first new car on the CMA platform.” The first CMA car in Ghent is widely expected to be a compact-sized crossover called the XC40. Ghent and Volvo’s factory in Chendu, China, will build CMA-based cars. Torslanda as well as Volvo’s factory in Daqing, China, and it forthcoming U.S. plant in South Carolina will build vehicles using its scalable product architecture (SPA). Volvo expects to have all its cars on either the CMA or SPA by 2018 or 2019, which means Ghent will be producing the current V60 family for a maximum of two years. Volvo, which was purchased by Zhejiang Geely Holding from Ford in 2010, sold a record 500,000 vehicles last year and wants to boost its global volume to of 800,000 by 2020.